In 2013 we were set a challenge by Phil Buck, Virgin Trains East Coat Head of Fleet 125. He was having a problem with his Power Cars running out of fuel and wanted a gauge fitting internal to the power cars, so that in the event of a major service disruption or infrastructure failure it would be possible for the train crew to see how much fuel was available, so that the remaining fuel supply could be proactively managed to ensure that the train could be kept warm and lit for passengers but also to ensure that sufficient diesel was conserved to allow the train to get to its terminal station. We reviewed commercially available systems and found them to be too expensive to allow a business case to be constructed in support of their fitment. 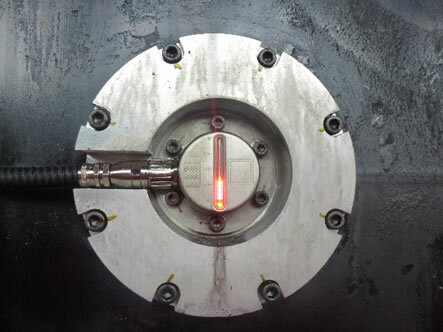 Not wishing to be beaten, Rubirail resolved to design its own fuel guage system. We identified suppliers of suitable product that was proven in a rail environment and set about integrating that into a system that could be fitted to a Power Car. A preliminary design was made and the parts procured to allow a prototype system to be fitted to a vehicle in April 2014. The calibration of the system was adjusted and fine-tuned and we achieved an accuracy of ±0.5% over the full volume of the tank (45 litres in 4500). This was considered to be quite acceptable and the system worked, giving a digital display on the vehicle of the fuel remaining in the tank. Virgin Trains East Coast were happy and, after a 3 month trial, when all worked well they ordered enough kits to allow for fleet fitment. When the production kit was specified it was a condition that it had to be possible for the whole system to be fitted in one shift. So the kit was designed to be as complete as possible. Cables were supplied pre-installed in conduit. Terminal Boxes were attached to the conduit, so that it was a very simple process for Virgin staff to undertake the installation during normal planned maintenance intervals. Rubirail continually look to refine their designs and the fuel gauge was no different. It was recognised that while it was useful that the train crew could now see how much fuel the train had, it would be even better if that information was available to maintenance staff and planners back at the base in York. We needed a telemetry solution, we found it at the right price and we integrated it into the system. Now our fuel gauge reported to a web-page that all of Virgin Trains East Coast staff had access to. 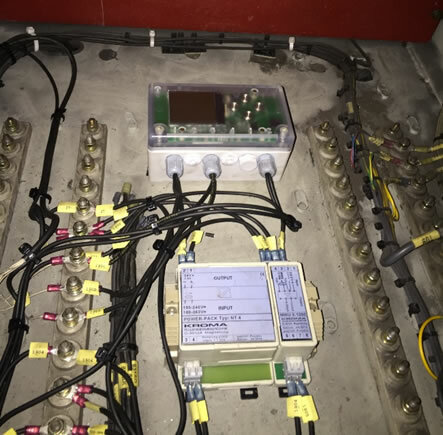 A prototype system was fitted to a power car in December and immediately proved its worth by alerting staff to the fact a train booked to go to Inverness had insufficient fuel. Train allocations were swapped, passengers got home, no-one was stranded. The Rubirail remote reporting fuel gauge was a success. 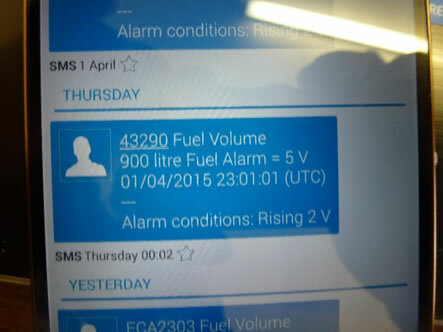 A final refinement to the system provided for a text message alert to maintenance control when the tank level got to a critical level. Virgin East Coast have fitted 32 power cars with the system and are very pleased with the benefits they get. They can see how much fuel is “wasted” overnight with idling engines, they can see if one power car uses more fuel than another. They bought a fuel gauge and have ended up with an energy supply monitor. Rubirail were contacted by Angel Trains and asked to investigate a problem with metallic debris being found in the Traction Motors of an operator’s fleet of HST Power Cars. Such contamination was thought to be having a detrimental effect on the life of the Traction Motors. Rubirail investigated the source of the air that is blown through the Traction Motors to cool them. Discussion with the OE manufacturer of the Traction Motor lead to the conclusion that it was not feasible to increase the filtration levels as to do so would be too detrimental to the cooling air flows. Review of the condition of the ducting to the Traction Motors revealed that they were very dirty and that that dirt must be by-passing the pre-existing air filters which were fitted to the Power Car. Investigation with the pre-existing air filter manufacturer revealed that the design of the interface between the filter and the Power Car was the cause of the problem; the filters were fitted into a metal frame which was inadequately sealed to the Power Car body-side – so providing a path for dirt to by-pass the filter. Working with the filter manufacturer Rubirail developed a new filter design that eliminated the metal frame from the system and improved the sealing of the filter pad to the body side by using a Polyurethane sealant. The proposed solution also brought a benefit in so far as it simplified the task of changing the filters so reducing the time taken to do the task. Having developed a potential solution Rubirail project managed a 3 month trial to a vehicle. This involved undertaking a risk assessment of the changes proposed, completing all the necessary engineering change paperwork and actually fitting the initial set of filters. The initial trial demonstrated that the new filter design worked as planned and the test programme was expanded to 5 vehicles with Rubirail project managing the procurement of the necessary material and the distribution to the operator locations where the filters would be fitted. This was supported by the production of a modification instruction to allow the operators to fit the filters themselves. It is planned to operate the modified vehicles for a further 6 months and monitor the traction motor condition to determine how successful the filter improvements have been in eliminating the contamination of the Traction Motors. Rubirail were asked by Chiltern Railways to undertake an analysis of the main causal factors that restricted the reliability and availability of their Class 168 Powerpacks. Rubirail took the raw data directly from Chilterns Maintenance Management system and exported it into a database. Each reported incident was analysed and allocated a ranking in a failure analysis matrix that was specifically developed for the Turbostar raft. This matrix allowed Rubirail to relate each failure back to a specific component in the power raft and categorise the failure mode of each. By doing this it was possible to identify the components which were causing reliability issues and the root cause of these failures. The results of this analysis were presented to Chiltern, in an easily understood graphical format on a monthly basis. The analysis results were not always intuitive and the quality of information provided allowed Chiltern to focus more closely on the key issues that were affecting their train reliability. 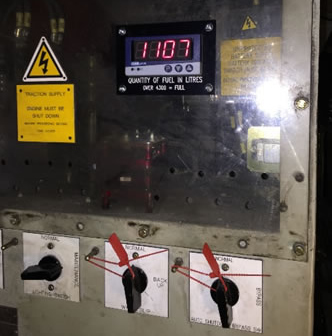 The data was used to work with Chiltern’s power pack overhaul contractor in a proactive manner to allow the more common faults to engineered out of the system by simple redesign of certain components or by focusing on critical procedures within the overhaul process. By working together with Chiltern and their power pack overhauler Rubirail were able to facilitate the improvement of the overhaul specification. This is reflected in increasing reliability and availability of the Train Sets.